Only nit: what do they mean “national average” when reporting total national spend (vs. average per household)? by Pronto.Learn about data visualization tools. Not sure how the author concludes US has military edge based on the data depicted. However, I’m not worried because Mitt promises to get them in line. by warrendunlop. Browse more data visualization. The interactive version is fun (click here). I am sure many understand this, but seems to require significant voice-over explanation. by ashbush. Learn about data visualization tools. 2) Am I the only one who finds the graphic next to the African stats questionable? 3) I guess the image of a Pontiac GTO at the bottom is supposed to represent speed, but how many people will recognize it? I admit I had never heard of the Paleo Diet until I saw this infographic. My question is….wasn’t average lifespan much shorter then? Why do we think it is healthier? by greatist.Learn about data visualization tools. Social Media as an Employee Engagement Tool? Not sure I buy the underlying premise that engaging in social media on the job will increase engagement. I have finally started to use my kids’ iPads, and am fast getting addicted! 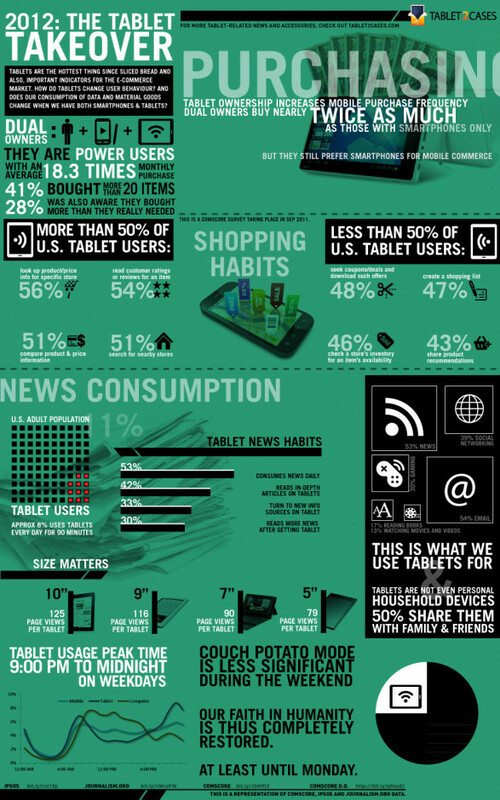 by tablet2cases.Learn about data visualization software. Quora is a great site. Crowdsourcing expertise. by KISSmetrics.Learn about business intelligence tools.